Also part of the wave of young, private, non-profit and bold initiatives that are hitting the space sector recently, a group of like-minded individuals in the US established the Association of Rocket Mavericks, whos mission is to "bridge the gap between the hobbyist and the aerospace community, enabling the civilian, working in collaboration with international universities, to have the resources, technology, education and infrastructure resources to open the domain of space exploration for the common man". Their main focus is on innovation in the launch vehicle sector, aiming at their first orbital flight in 2015. But they could also represent a good reference point to keep an eye on in the future as a possible provider for engines on a Google Lunar X PRIZE (GLXP) lander. You can read more about their endevors in this Wired article. Keep on reaching for your dreams guys! One of our Indonesian volunteers was kind enough to provide subtitles in Bahasa Indonesia, the language of Indonesia, for our International Version of Moon 2.0, promotional video of the Google Lunar X-Prize (GLXP). Please watch the video here. Subtitles can be selected by clicking on the small arrow at the bottom right of the YouTube view screen (see How to Show YouTube Subtitles). Since YouTube's automatic translate button still has big a red "BETA" label next to it, we still choose to use humans for our translations! 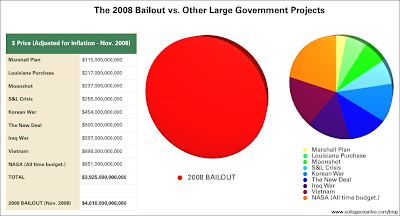 We are used to the concept of space exploration being a very expensive endevour, but this simple inflation-adjusted monetary comparison by Voltage shows that the complete budget history of NASA, including the entire Apollo Program, is only a fraction of the 2008 bailout of the US finacial sector.